Two venerable former Flint Journal journalists, Lawrence Gustin and Kim Crawford, will join forces to talk about some of the giants of Flint history. The event is free. Sloan Museum Director, Todd Slisher, will join us to share the exciting plans in store for the renovation of the museum. Learn what the Sloan Museum will look like and see how it will differ from the museum we have today. Join us for this interesting talk about the Saginaw Trail, given by Leslie K. Pielack, author of "The Saginaw Trail: From Native American Path to Woodward Avenue." The trail ran between Detroit and Saginaw. It started as an Indian trail, then became a military road. It passed through Flint, using the Grand Traverse to cross the Flint River. Public is welcome. now housed at the FIM. Performance by Dr. Quincy Oad Dobbs. 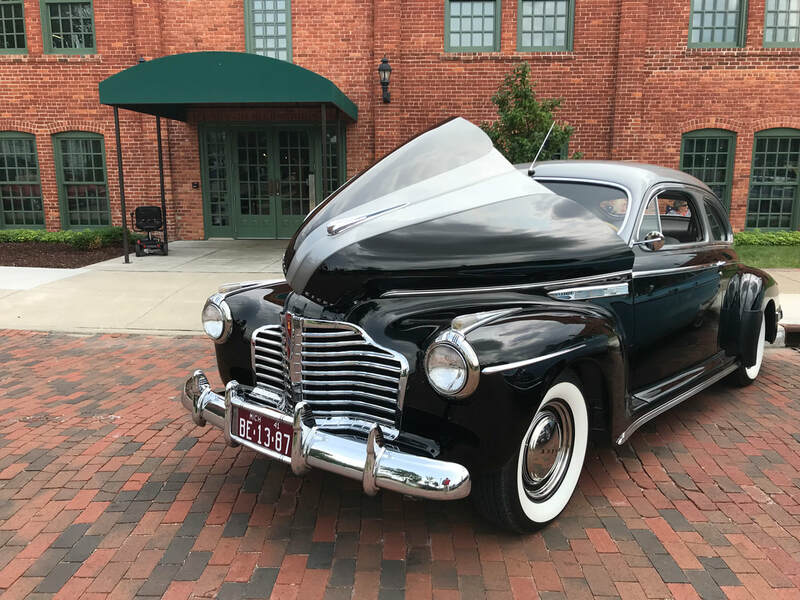 The 2018 Buicks on the Bricks, a part of the Back to the Bricks celebration, was another resounding success! Buicks are displayed in front of the Durant-Dort Carriage Company Headquarters, and line all down Water Street. 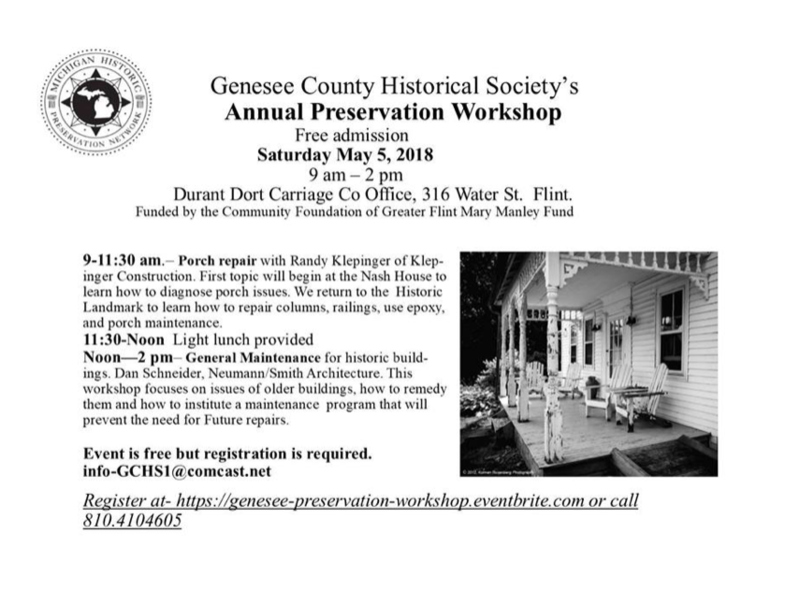 Tours and video and live presentations at the Durant-Dort Carriage Factory Headquarters were available to the public throughout the event. There was standing room only for the telling of the fascinating, true story of Flint's Auto Heritage presented by Gary L. Fisher, during the Back to the Bricks celebration. The presentation links the past to the present, showing how relevant history is to today's current events.